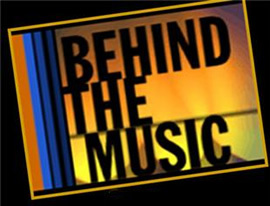 This biography-like series focuses on musicians and musical groups. Episodes follow how musicians began their careers, how they handle their celebrity status and, sometimes how they deal with their fall from grace as well. The one-hour special Dying in Vein is the precursor to Behind the Music, sharing the same approach in storytelling. In most cases, the artists that are profiled have achieved success, but are no longer in the top of their field. Jim Forbes provides the narration for most of the episodes. The voiceover accompanies visuals of old concert footage and photos with interviews with the musicians and their peers. The first artists to be profiled were Milli Vanilli, followed by episodes featuring M.C. Hammer, Boy George, Fleetwood Mac, Lynyrd Skynyrd, Billy Joel Gladys Knight, and Ozzy Osbourne, and many others. Those that never lose their impact on the industry are saved for VH1’s Legends series, although there are a few rare artists, such as Tina Turner, Queen, Elton John, and John Lennon that have appeared on both shows. The show ceased production in 2006 after nine seasons and 200 episodes. New episodes began airing in the Fall of 2009.